Gear up for the last season of Game of Thrones by making some of your favorite dishes from the Seven Kingdoms. Don't forget the Dornish summer wine! Not just any old meal will do for the GoT premiere. Roll up those sleeves and plan an epic feast for your watch party! Sansa Lannister-Bolton-Stark loves her lemon cakes. This modern-day take combines a simple lemon blossom recipe with some Westerosi flair for a delicious sweet treat. By adding only eggs and oil to the dry mix, you end up with a moist, dense dessert similar to a pound cake. Preheat the oven to 350 degrees and prepare two muffin tins with 18 total cupcake liners. In a large bowl, beat the eggs and mix in the vegetable oil. Add the lemon cake mix and lemon pudding mix, then stir well, watching for lumps. Pour one heaping tablespoon into each cupcake liner and bake for 16 minutes. Cool well before frosting. Mix the powdered sugar with the lemon juice and stir until the frosting is about as thin as pancake syrup. Remove each cake from its paper liner and dip the flat bottom into the frosting. That is now the top of the cake. 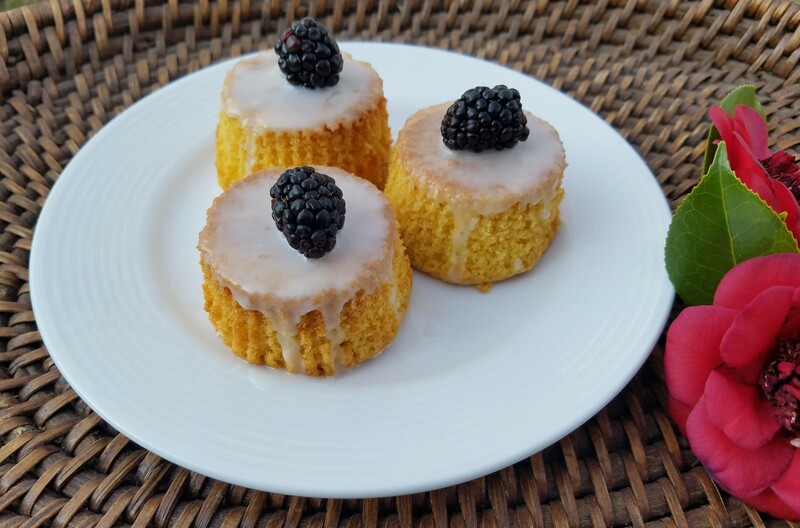 Decorate with lemon zest or a fresh berry, or make a second frosting tinted with crushed blackberry juice and drizzle over the white frosting layer. *If you prefer a creamy frosting, you can use storebought but add some lemon juice and lemon zest to give it some extra zing. 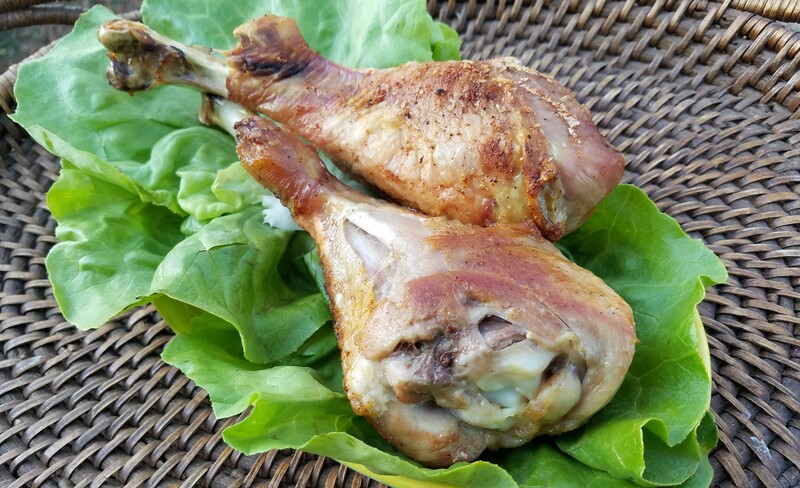 No good feast is complete without some giant turkey legs. This simple recipe would be great for even a weekday meal but even better for waving around during a particularly great episode. Dine like Robert Baratheon, and forget the knife and fork for this dish! Preheat your oven to 450 degrees. Line a roasting pan with foil, lay out the drumsticks, and combine the dry ingredients to create a rub for the turkey. Sprinkle the dry rub all over the turkey and gently pat it in (you probably won't need all of the seasonings). Roast the turkey uncovered for 20 minutes. Loosely tent with a sheet of foil and continue roasting for 30 more minutes. Remove from the heat and allow to rest for at least 10 minutes prior to eating. 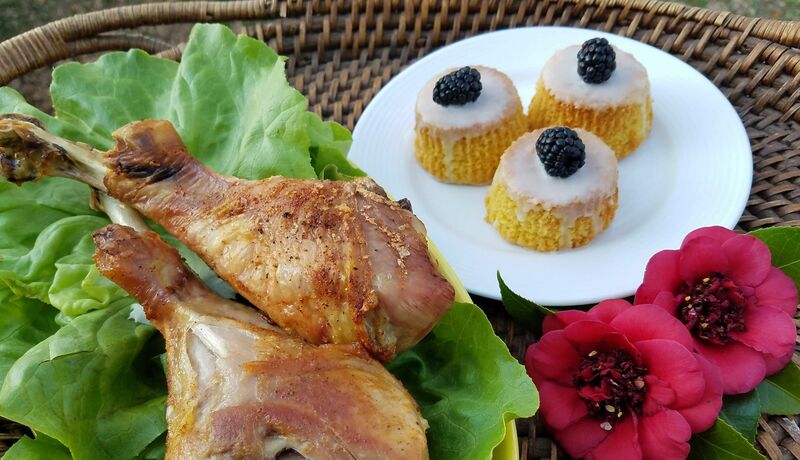 You can multiply this recipe for turkey drumsticks as many times as necessary; the number of turkey pieces will not alter your cooking time. Whatever you do, don't forget the resting step -- it redistributes the juices throughout the meat. **All photos in the article are courtesy of Sarina Petrocelly. What other Game of Thrones-inspired dishes do you want us to recreate for you? Hot Pie's Wolf Bread? Walter Frey's Meat Pie? Let us know in the comments below!